Peter Hans, president of the North Carolina Community College System, and other state leaders visited Edgecombe Community College recently and met with Dr. Greg McLeod, president of the College. Hans became president of the community college system in May 2018, and his visit to ECC was part of an effort to tour all 58 community colleges statewide. 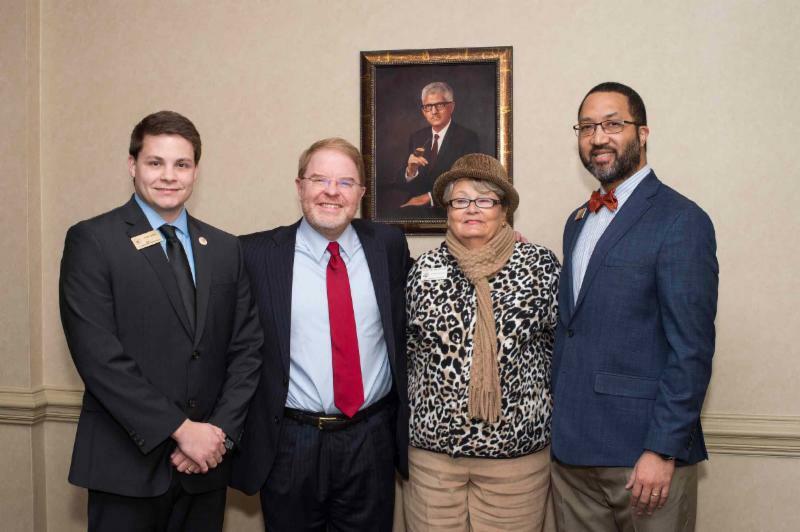 Shown from left are Trey Lewis of Senator Thom Tillis' office and an ECC graduate; Peter Hans; Betty Jo Shepheard of Senator Richard Burr's office and an ECC trustee; and Dr. Greg McLeod. 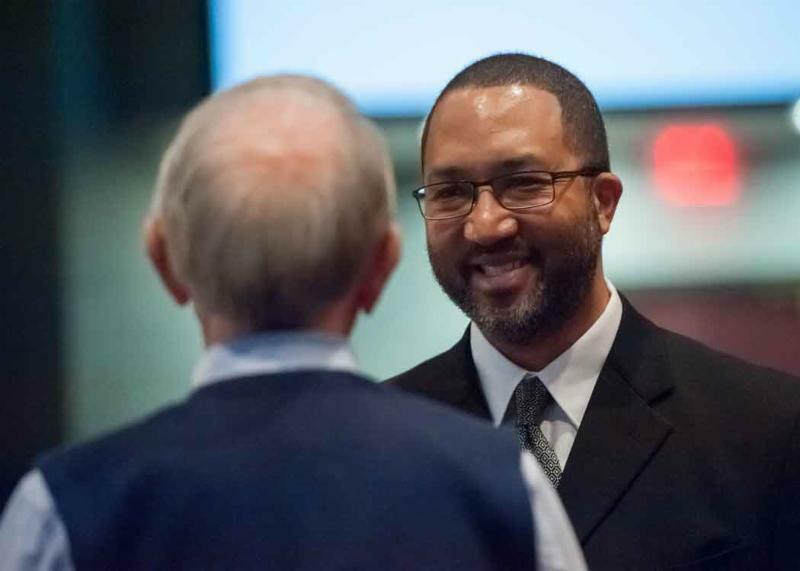 The ECC Board of Trustees recently recognized Edgecombe Early College High School Principal Matt Smith, who has been named 2019 North Central Region Principal of the Year. He is one of eight finalists for the title of North Carolina Principal of the Year. The Edgecombe Early College High School is located on ECC's Tarboro campus. 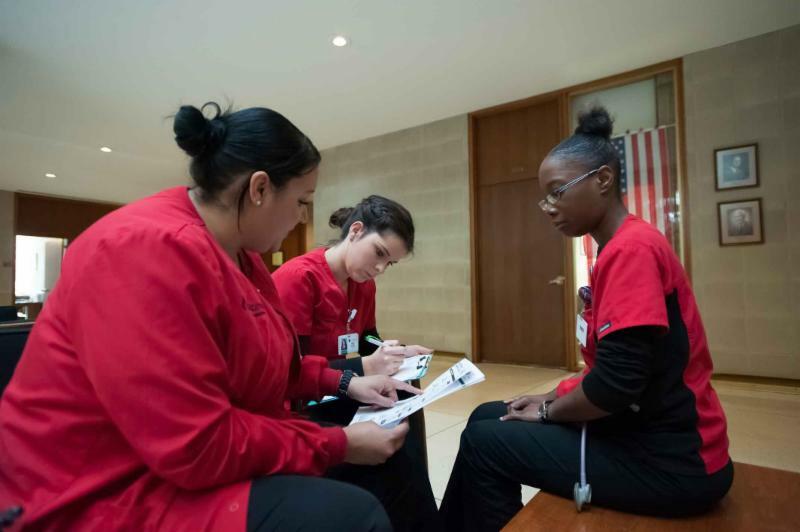 Through the NC Career and College Promise program, Early College students have an opportunity to complete an ECC associate degree or earn up to two years of tuition-free college credit. 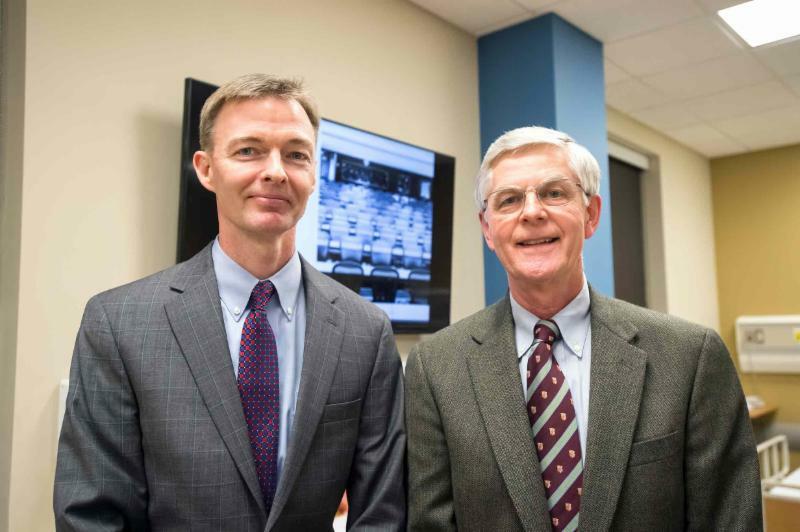 Shown are Smith (left) and Dr. Jerry Price, chair of the ECC Board of Trustees. Both sessions meet in McBryde Auditorium in the Biotechnology and Medical Simulation Center on the Rocky Mount campus, 225 Tarboro Street. Questions? 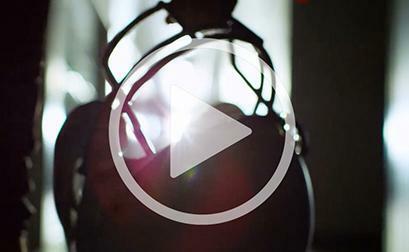 Contact admissions@edgecombe.edu or (252) 823-5166, ext. 333. Learn more about ECC President and 1989 NC Teaching Fellow Dr. Greg McLeod in an interview conducted by WRAL as part of a series on teacher diversity in North Carolina. 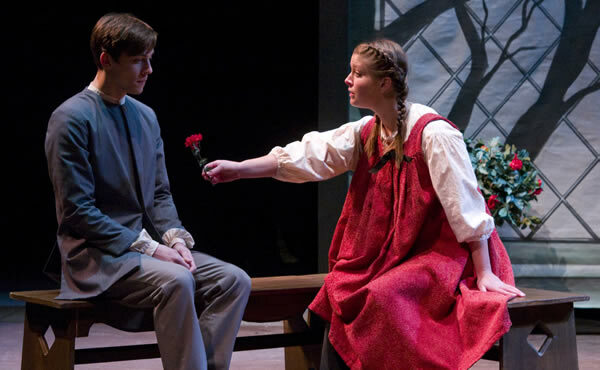 Don't miss the Barter Players' performance of The Scarlet Letter tonight at 7:30 p.m. Reserved seating tickets are $10 for adults and $5 for students (Pre-K through college).